Carl Fredrick and LuElla Bennett Day: Carl was the ninth child, fifth son of Orville Cox and Otes Clysta Strasburg Day (q.v. ), born in Highland on November 4, 1926. Carl was quite adventuresome and had many interesting (and harrowing) experiences. In his eleventh year he and his brother Melvin were charged with herding their cows along the roadside. One morning they stole some matches from the kitchen and, neglecting the cows, began starting small fires in the weeds etc. They entered the abandoned home of Henry and Cora Strasburg (#80 on the 1958 Highland map - interactive, larger - 5880 W 10400 N) and started a cardboard box on fire thinking it would soon die out. Suddenly they noticed the cows were gone so they went to gather them and the house burned down. He was severely punished and his father had to repay Henry for the house. He attended school at Harrington Elementary and American Fork High, graduating in 1944. He attended BYU for a while, worked at various jobs, including the pea viner, and Pleasant Grove Cannery, served a mission to the East Central States from 1949-51 then was drafted into the army where he served in Korea and received a Purple Heart. LuElla was born in Alpine on January 30, 1930 to Dewey Logie and Blanche LaFern Devey Bennett. She attended grade school in Alpine and graduated from American Fork High School. She took business essentials, type and shorthand preparing her to work as a secretary. She attended LDS Business College for a few months then worked for Ketchum Builder’s Supply until April, 1951, when she was called to serve a mission in the East Central States, the same mission Carl had served in. She served a full 2 years and upon returning went to work in the Relief Society Offices in Salt Lake as a secretary. At a missionary reunion that year (1953) she met Carl they were married November 4, 1954, in the Salt Lake Temple. She worked at the State Capitol in the Land Office as a bookkeeper until her first child was born. They had eight children: Jens, Jennifer, Jerol, Jordan, Jill, Jana, Janelle and Jason. In 1957 Carl’s brother, Melvin was killed in a hunting accident so Carl and LuElla took over his paper routes and continued for eight years, delivering the Deseret News to Highland, Alpine and Knob Hill in American Fork. In 1964 he took over management of the Park Stake Farm and moved into the home there (#22 (6360 W 11000 N); they also lived in 21 (10965 N 6400 W) & 44 (5455 W 11200 N) - on the 1958 Highland map - interactive, larger). He was also farming about 150 acres of his own and rented land and worked winters at the Sugar Factory in West Jordan until it closed in 1971. He managed the Sandy Stake Welfare Farm in Lehi for five years 1974-79, which consisted of 800 pigs. They then returned to Highland where he remained for the rest of his life (#36 on the 1958 Highland map - interactive, larger - 10665 N 6000 W). They raised acres of tomatoes and wonderfully tasty cantaloupes and all the family was involved in preparing, planting, weeding, irrigating, cultivating and picking. Their recreation included climbing to the top of Timpanogos many times and swimming in ponds and canals. Tragedy struck on Nov 18, 1995. Carl had just received an old baler from Mahlon Peck and there was a squeak in it that he was trying to stop. He was running it at the slowest speed possible and, while listening to a BYU-Utah football game, put his right arm inside with an oil can to try to oil the squeak, forgetting that it was running. The baler caught him and took off his arm just below the elbow. Much has been written about the day and his retention of a sense of humor during the ordeal of getting to the hospital and getting healed. When someone innocently asked if he was left-handed, he said “I am now”. He always rode with his nephew, Clark on his paper route throughout Highland. Shortly after the accident Clark went to his house to rouse him to go on the route and Carl told him he couldn’t go, he was of no value to him. Clark said “you never have been any good to help, I only take you for the conversation”, so he got up and continued to accompany Clark for many years. After his accident Carl felt like he wasn’t good for much but one thing he did was so impressive-he picked up rocks. Highland is known for its rocky soil and most people don’t have the patience or the equipment to do anything about it but Carl took a bucket and spent hour after hour picking up rocks from his and his brother Wayne’s fields. You could drive by any time of the day and see him out there sitting or kneeling in his well-worn overalls, with his bucket by his side. It was a great testament to the dedication and perseverance of the man. Lawrence Earl and Lillie Buhler Day: Lawrence was the fifth child, fourth son of Orville C. and Otes Clysta Strasburg Day. He was born in Highland on January 36, 1919, lived in Byron, Wyoming for a while then the family returned to Highland and he attended elementary school in Highland and high school in American Fork. After high school he worked to help support his brothers, Louis and Wayne on their missions from 1938-42, then he was drafted into the Air Force and served part of his time in Guam as a B-29 mechanic. Nine days before he went in the service (on March 2, 1942) he married Lillie Buhler of Highland. Lillie was born June 22, 1917, to Alma Herman and Hazel Salina Loveridge Buhler (q.v.). She weighed only two pounds at her premature birth and it was thought unlikely that she would survive but her mother fed her with an eye dropper and she made it although she was small and sickly all her life. Lillie moved to New Mexico and to Tucson, Arizona to be near Lawrence while he was in the service. When he was released they returned to Highland and bought twenty acres east of the church (#78 on the 1958 Highland map) and Lawrence attended BYU. They had five children: Lillie Martha, Alma, Earl, Sterling and Vaughn. When he graduated (the first Highland boy to graduate from BYU) he became a school teacher and soon they sold their home and moved to Heber City for five years then moved to Salt Lake City. Louis Ereal and Elizabeth Roundy Day: Louis, the second child, first son of Orville Cox and Otes Clysta Strasburg Day, was born January 10, 1914, in Highland. After early schooling in Highland and Byron, Wyoming, he graduated from American Fork High School in 1931. Louis played in a musical combo with his Uncle David Strasburg for a few years. He played the Hawaiian Guitar while Dave played a harmonica wired around his neck, beat a drum with his foot and played the Spanish Guitar. He was ordained an Elder at seventeen and served in the Sunday School superintendency at eighteen. Louis married Elizabeth Roundy on December 8, 1932, in the Salt Lake Temple and they made their home with her parents in Highland (#23 on the 1958 Highland map). Elizabeth was born November 17, 1913, in Snowflake, Arizona to Heber Lorenzo and Elizabeth Frost Roundy. They later moved to Highland then to Lindon, Utah. When the parents moved to Lindon, the young couple stayed behind, sharing the home with her sister Laura, and her husband Delbert Adamson and that’s where their daughter Patricia was born. They soon moved to Lindon also for a short while then moved back to Highland, sharing a home (#83 on the 1958 Highland map) with Dave and Melba Strasburg. There, Kent and Dolores were born. The opportunity came to purchase the home from Mark White (#15 on the 1958 Highland map) and that’s where their family was raised. In 1940, after more than seven years of marriage and three children, Louis was called to serve a mission in the Central States and he served from May, 1940, until May, 1942. After his return two more children, Robert and Allen, were born. Then in 1945, Louis became very ill and died on November 13, just six weeks after Allen was born, leaving Beth with five children to raise. Melvin Robert and Eloyce Fuller Day: One of the most memorable Highland residents was Melvin Day. Though his life was brief, it was filled with humor and good-will to everyone who knew him, and love from them. He was the sixth son, tenth child of O.C. and Otes, Day (q.v. ), born October 23, 1928, in Highland. He attended American Fork Schools, graduating in 1947. He worked for Sam Waki and Yukus Inouye on their farms, as well as doing a lot of work on his father’s farm with his brothers. He was a pleasure to work with because he was so strong and full of humor, jokes and fun. In 1951 he was called on a mission to the California-Arizona mission and upon his return was drafted into the Army and served some time in Alaska. In August, 1955, he married Eloyce Fuller, a girl he’d met in Arizona on his mission. She was born November 11, 1932, in Mesa, AZ to Elvin Byron and Alberta Amanda Millett Fuller. She was in high school when she met Melvin but started to correspond with him while he was in the service. When he was released he told her he would come and visit her even if he had to pole-vault across the Grand Canyon to do so. The young couple had a daughter, Denise, and Eloyce was six months pregnant with their second child (a daughter, Sherlene). It was a devastating blow to all of Highland and especially to Eloyce and the Day family. Eloyce returned to Arizona and eventually married Leo Elmer Hollingshead and had four more daughters. Orville Cox and Otes Clysta Strasburg Day: This is the patriarch of the large Day family and in the history of Highland we learn why he has so many descendants. Orville was born June 1, 1885, in the home of his grandmother, Elvira Mills Cox, in Fairview, Utah Territory to a polygamist, Eli Azariah and his second wife, Elvira Euphrasia Cox Day. Before he was six years old his family had moved to Mancos, Colorado to escape prosecution for polygamy. They were destitute and at one time, for three weeks, had nothing to eat but boiled wheat. They moved back to Fairview in 1892 and Orville started school in second grade because he was a gifted learner. In 1893 he was baptized in the Manti Temple. At eleven he was given a Patriarchal Blessing by Patriarch Evans and was told: “thou shalt be multiplied without end”. In 2018 his posterity numbers close to 1300. The blessing continued: “the heavens will be opened to thy view and the spirits of the just made perfect will appear to thee in their glory. Thou shalt aid in the work of the genealogy already begun by thy fathers and thy work be perfected. The Lord will be thy light and the tower of defence.” Twenty-six years later he would begin the greatest work in mortality. At fourteen he went with a group of young scholars to Brigham Young Academy and at age eighteen in 1903 he began teaching school in Axtell, UT. In 1904 he returned to school at the Academy and a year later taught at Mill Fork, then back to school where he graduated with a four year degree in 1907. He then taught at the Highland School for two years, boarding with the Strasburg family and married their daughter, Otes Clysta who was his star pupil. They were married in the Salt Lake Temple on September 29, 1909, her fifteenth birthday. In 1910 they were living with her parents. Otes was born September 29, 1894, in Kamas, Utah Territory to Louis Henry and Fredricka Honeck Strasburg. She remembered little of her childhood but was very obedient, well-behaved, gentle and submissive; slow to anger and eager to please others, as well as being a good student. At school she was teased about her name, being called mother oats. Her gender was sometimes mistaken because Otis was generally a man’s name and the pronunciation was the same. Another portion of Orville’s blessing stated: “Thou wilt go forth as a messenger of salvation and call men to repentance...” and this promise began to prod him and after their first child was born-one year after their marriage-he decided to serve a mission and was called to serve in Kansas. He had purchased ten acres of ground in Highland next to the Strasburg’s so he owned property but had little money (#36 on the 1958 Highland map). His service was almost ended prematurely due to his lack of funds but with prayers and faith of those at home he was able to complete his full mission. Upon his return the taught school in Highland for six more years, during which time the Highland Ward was organized and he was chosen as first counselor to Bishop Zabriskie. In 1918 he taught school in Lehi, then in 1921 moved with his family to Byron, Wyoming where he taught school for the next four years. While there he also organized and coached a football team and attended summer school at the University of Wyoming in Laramie. In 1920 his brother, Abraham Earl lived with them for a short while. In June, 1925, he returned to Highland and purchased another ten acres adjoining his first ten and settled down to farming, raising chickens and a few dairy cows. He added a room to his previously built shack and lived there with six children and in about two years had built a new home to the north, with the aid of his two oldest sons, who were eleven and nine. 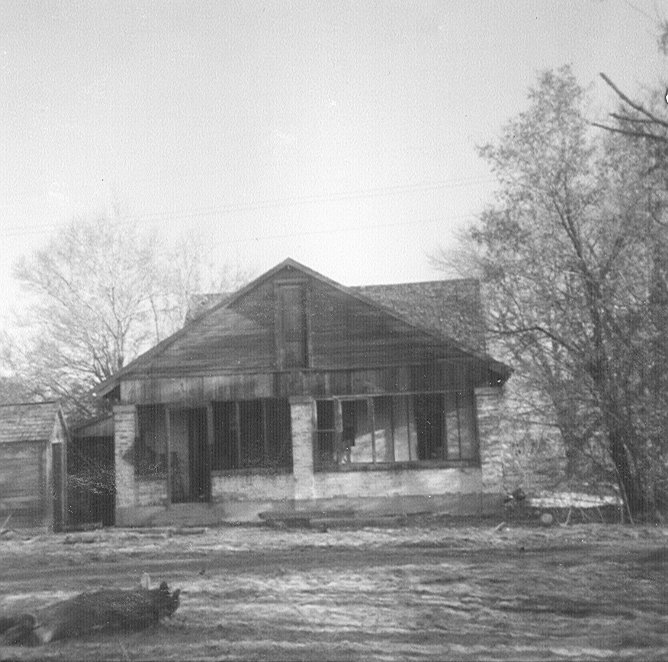 They lived in that home until 1954, when it burned down. Beginning in 1928, after a miraculous dream/vision of people from beyond the grave, he began doing genealogy in earnest and was able to research several thousand names. At the time of the fire those records were in jeopardy because the fire began while the family was at church. A neighbor came into the meeting with the alarm that sent everyone scurrying to help. Orville, who was sixty nine years old, ran the one quarter mile to his home and entered the burning home several times to carry out his precious work. Very little was damaged. He made a genealogy chart on a roll of butcher paper that is approx 25 feet long and has over 3000 names, including several lines going all the way back to Adam. Another of Orville’s avid pursuits was the irrigation water for Highland. He championed the purchase of Provo Canyon water for Highland from the Murdock Canal, which traversed Highland on its way to the Jordan River Aqueduct at Point of the Mountain. The building of the Deer Creek Dam was of great benefit to the people of Highland, as it provided the water for the late season crops. Orville spent many years as water master and official of water companies. Orville Wayne and Ruby Buhler Day: Another of the children (third child, second son) of O.C. and Otes Day (q.v. ), Wayne was born February 27, 1916, in Highland. By the time he started school they had moved to Byron, Wyoming where his father was the principal of the school. They later returned to Highland and he graduated from American Fork High School in 1933. It was the middle of the depression and they closed school a month early because they had run out of money to pay the teachers. In 1938 Wayne was called to serve a mission in the Central States Mission, serving in Missouri and Arkansas. Upon his return he married Ruby Buhler who was born January 5, 1919, in Highland to Alma Herman and Hazel Selina Loveridge Buhler, on October 16, 1940, in the Salt Lake Temple. Ruby worked for in the High School Office and Alpine School Board Office and at the Poultry Dressing Plant, sometimes missing school to help with family finances. After graduating from American Fork High she worked at Alpine Motor. 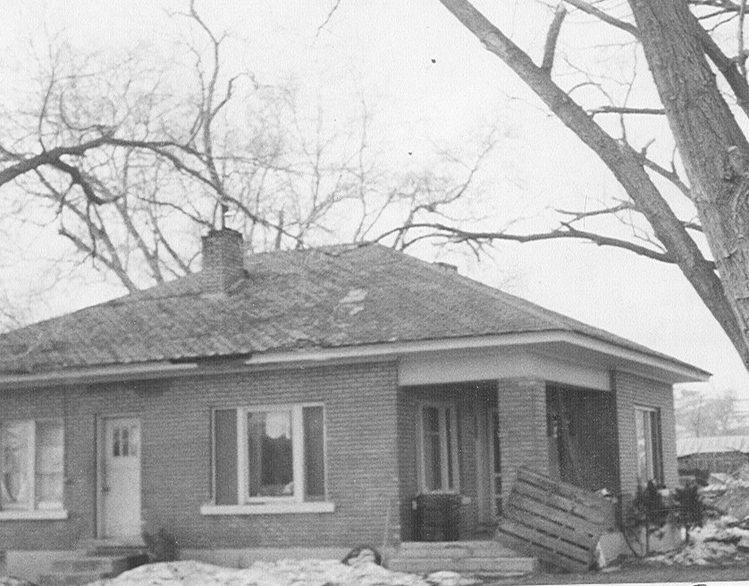 They rented a home in Highland for about two years (#16 on the 1958 Highland map) where he raised chickens and worked for Utah Poultry in American Fork, riding his bike to work. They then moved to #21 for while then built their home at #79 (on the 1958 Highland map), living in the basement for a few years before building above. Wayne worked for the Sugar Factory in West Jordan each fall and raised peas and tomatoes for the Pleasant Grove Cannery. In 1951 he began working at Geneva Steel, still raising tomatoes for the cannery each summer. They had 12 children: Orville, Wilford, Karen, Paul, Ivan, Clark, Ruth, Joy, Bonnie (who drowned in the irrigation ditch at 1 ½ years), Lynn, Jewel (stillborn) and Eugene. Ruby worked in every organization of the Church, starting at age twelve, as secretary, organist, teacher and counselor. She was very active in the genealogy program for over 24 years. She passed away October 14, 1977, from cancer. Wayne spent many years in the Sunday School organization and was a very faithful home teacher. To illustrate: one time when he was ready to go home teaching his partner was unavailable so he was going to go alone but as he was leaving there was a man jogging past his home. He stopped him and asked if he was LDS. The man said yes so he asked if he would go home teaching with him and he did - a total stranger! Wayne married LaVerle Neves Makin September 20, 1980. She was born February 1, 1921, in Burlington, Wyoming to Wilford Trane and Mary Eliza Carling Neves. They had more than twenty eight years together before he died June 6, 2009. LaVerle passed September 8, 2013.